If you are looking for an apprenticeship the Certificate II in Construction (CPC20112) course, is a great way to find out which trade you enjoy the most. Pre-apprenticeship students work side by side with existing apprentices. This gives students the chance to have some insight about what being an apprentice is like. Employers frequently contact FCTA seeking candidates for apprenticeships. They are generally seeking people under 21 who have a car and license and either experience in the industry or someone who has completed a pre-apprenticeship course. 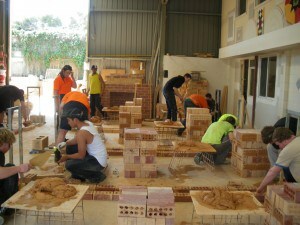 As part of the Certificate II in Construction, students are placed into the trade for work experience. For students who have some previous experience, or show potential, this could happen at any time during the course. If there is an opportunity to secure an apprenticeship you will be placed out into the trade ASAP. The course is held at FCTA – Building Careers, 15 Jacobsen Crs Holden Hill South Australia. The duration of the course is 10 weeks, Tuesday – Friday 8am – 3:30pm. Please call 088367 5615 or email admin@fcta.com.au to book in a time to apply for the course.